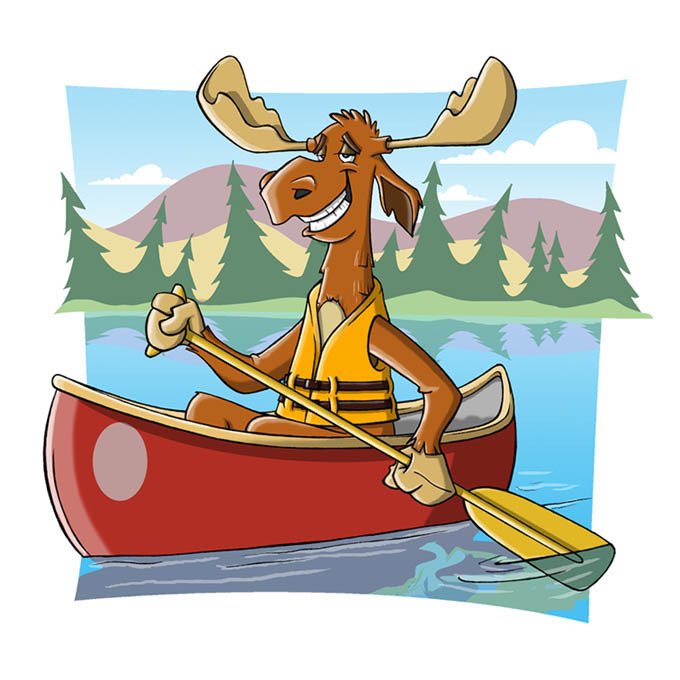 Ben Reynolds: I can row a boat...Can Moose? I can row a boat...Can Moose? Here's an illustration I did for a Camp in Huntsville, Ontario, Canada. I used Photoshop to color the character and Illustrator for the Background. It's a canoeing moose..I don't know what else to say. Can Moose? That's a stretch guy...But genius all the same! Love the blog-erific blog. Keep 'em blogging! look at you bloggin and stuff... so internet savy. i am excited to see lots of drawings up on here. friggin eh!! hahah freakin schweet! keep on keepin on! I went to that camp. Sweet moose. Love you're stuff. the colouring is great! Hola Canada!!! Nice piece man, love the subject manner. What a groovey looking moose great smiley face. Your blog is great, can't wait to see more. Hee! That moose is really great! 96TTZ7 Your blog is great. Articles is interesting! xRSPde Please write anything else!